It’s My Party . . .
. . . and I’ll do whatever the hell I want! And what do I want to do today, on this special day, my day of birth? 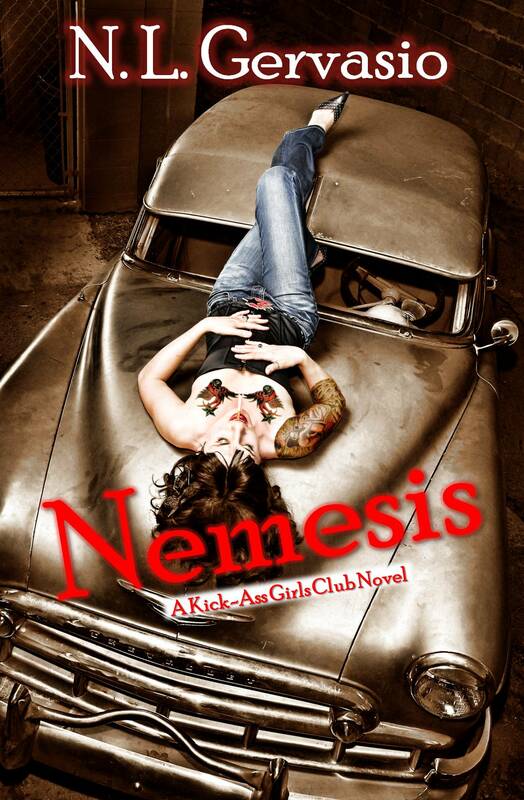 Well, seeing as how I haven’t been to bed yet and I’m feeling a bit loopy crazy, I want to give away a copy of my new book Nemesis, which will release on Saturday, June 18th from Running Ink Press! One lucky person who comments on this post this week will win. Since Nemy is a bartender, all you have to do is answer the question: What’s your favorite drink? You have until the 18th (Saturday) and I’ll pick a winner the following Monday and announce it next Tuesday, the 21st. While Nemy and Clancy tumble down the romance road, hitting potholes every step of the way, Nemy discovers how much of her heart already belongs to Clancy, and how much of a Don’s daughter she really is. When Clancy’s daughter is kidnapped, they must work together to use every talent and connection they have to get her back, which means Nemy must learn to trust again. If they fail, Clancy could lose his daughter forever. Can Nemy surrender in time to get her happily ever after, or is she hell-bent on letting her past keep her from the one man who could be her true Prince Charming? You can preview part of chapter 1 here. Happy birthday, O Dear Friend & Business Partner! Happy birthday, my friend! And congratulations on your book release! Happy Birthday to you & Nemy!!!! Does cough syrup with codeine count as a drink, because it seems to be a necessary favorite around here as of late. Um, no. LOL Would you stop being sick already, woman! Tom Collins, which is the Drink of Billionaires. And the winner is Richard Bashara!